I have a WCF service with net.tcp and http server bindings. The message could not be dispatched because the service at the endpoint address 'net.tcp://IPAddress/MarketFeedService/Service.svc' is unavailable for the protocol of the address. WCF Http and Non-Http Activation are installed and enabled. http and net.tcp protocols are enabled for Default Web Site as well as for the application. I was having a lot of problems, especially with RESTful services that worked okay locally, but crashed and burned on the server. I thought it might be because of conflicting configurations with the root config, or registry, but that was not actually the case. You have to go into IIS and look at your base site-level setup, there will be a features option called "ISAPI filters." To make a long story shorter, the specific ISAPI filter called UrlScan (versions may very, I think the current one is 3.1) was the source of our problem. What this filter does is it looks for patterns on incoming requests to try and screen out potentially malicious requests. As technology changes and improves, requests that are not familiar to the setup come in and are rejected or re-routed. In my case, it was looking at the file extensions. 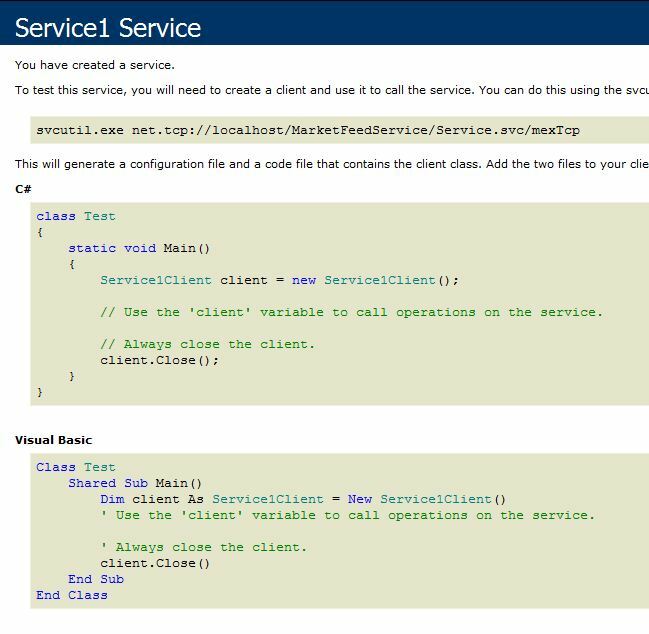 The older SOAP technology launched from an ASP extension was recognized/blessed (.asmx), but we had never set up a RESTful or WCF service, so it didn't recognize the ".svc" extension. The initial setup is usually so tight that any http request is rejected or re-routed, and whomever is managing the web server tweaks the file to allow for functionality as needed. You can go to the file location and in the same directory is the .ini file with the settings for that tool. In that text file, look for the sections called [AllowExtensions] and [DenyExtensions]. Make sure to add .svc to the "allow" group and make sure it isn't explicitly listed in the deny one. Not the answer you're looking for? Browse other questions tagged wcf iis-7.5 windows-server-2008 or ask your own question.